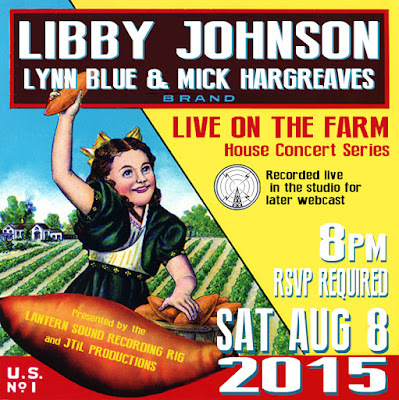 8PM Saturday August 8th, 2015 The Lantern Sound Recording Rig presents the fifth installment of "LIVE ON THE FARM", a house concert series and ongoing recording session all rolled into one, taking place in a historical farmhouse tucked away in Long Island's Pine Barrens. Doors open at 8pm, Music at 8:30pm. 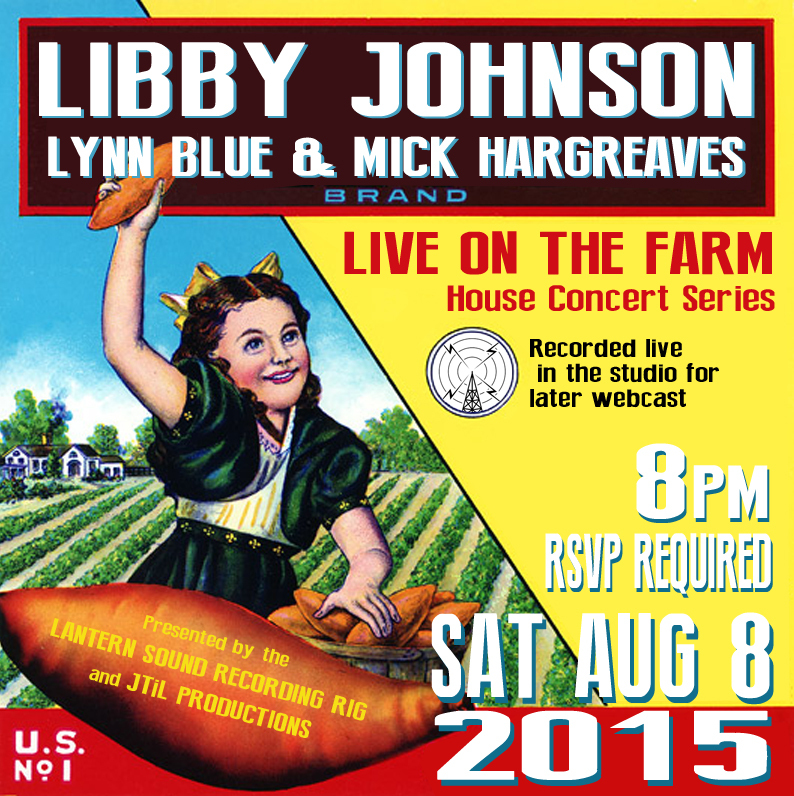 Libby Johnson started recording her follow-up to 2006’s acclaimed "Annabella," between the trails (or trials) of living as a troubadour artist, moving from New York to a rural setting and back again, family life and various activist projects. In January 2010 Perfect View was released on the Wrong Records label. 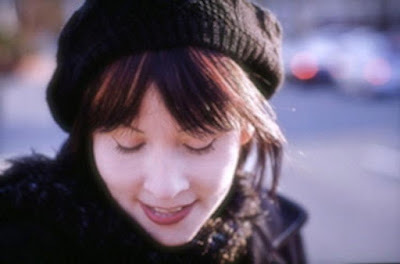 Sometimes wistful in tone, Perfect View’s sweeping moods encompass such life changes. Lynn Blue and Mick Hargreaves brand-new vocal duet venture has delighted audiences wherever they've performed locally in 2015. This will be their first venture into the studio.